Its membership includes new home builders, renovators, developers, trades, manufacturers, suppliers, lenders and other professionals – the companies and people who provide Canadians with quality housing from coast to coast. Members commit to act with integrity and professionalism in all aspects of their company’s operations. The Association works in areas as diverse as technical and economic research, education and training, renovation, the environment, urban issues, warranty and marketing. 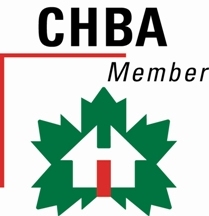 Through the voluntary efforts of its members, the CHBA serves both consumers and producers of housing by promoting quality, affordability and choice in housing for all Canadians. Since 1997, Bowood has been a registered builder with the Alberta New Home Warranty Program. This gives our clients the added assurance, in writing, that they are covered by the best new home purchaser protection in Canada. Each new house is registered with the ANHWP, providing our clients with warranty and deposit protection of their new home. The Alberta New Home Warranty Program is not applicable to residential renovations or commercial construction projects. The Professional Home Builders Institute of Alberta (PHBIA) is the not-for-profit educational arm of the Alberta home building industry. It was founded in 1987 to provide training to Alberta homebuilders in business management, financial knowledge, construction theory, and leadership skills. Bowood staff takes advantage of the many educational offerings of the PHBIA on an ongoing basis.